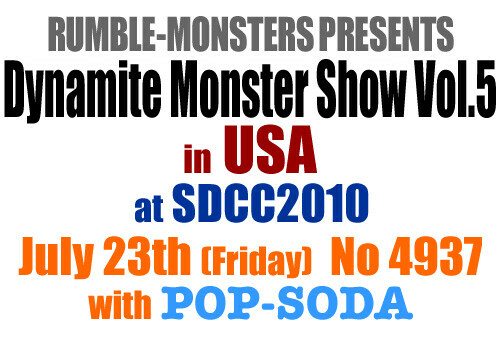 Rumble Monsters x PopSoda Dynamite Monster Show Vol. 5 @ SDCC 2010, originally uploaded by Fiends Ain’t Family. 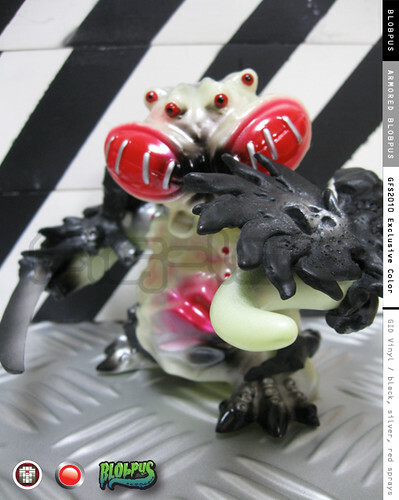 Skull Toys SDCC 2010 Marble 12 inch Dokurocks Suit, originally uploaded by Fiends Ain’t Family. 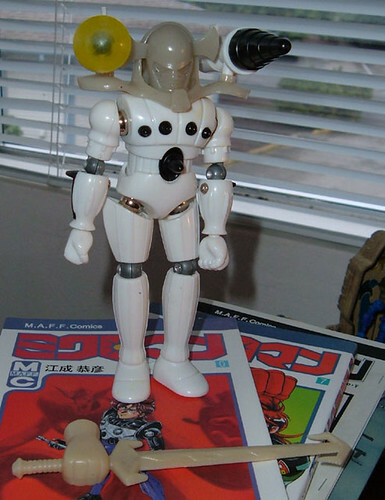 Skulltoys Dokurocks Henshin style suits are back in style. This time its formal wear like a Tuxedo from Hell – luscious marbled black and white. 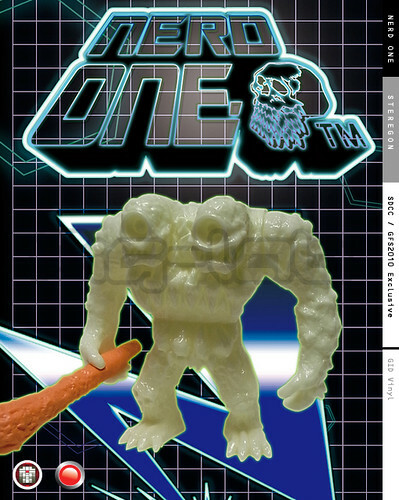 These will be available from Thursday at GFS2010 – the CROSSOVER from Thursday. 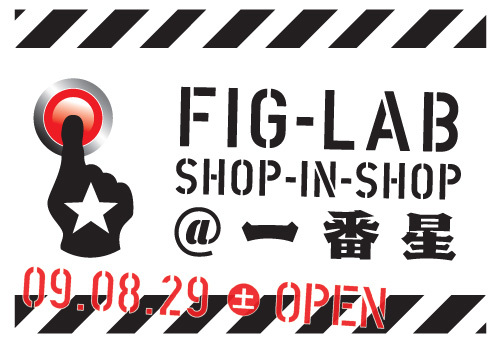 Yamazaki has been teasing us with this little monster for a couple of months now – finally he is ready to be unleashed on the world. 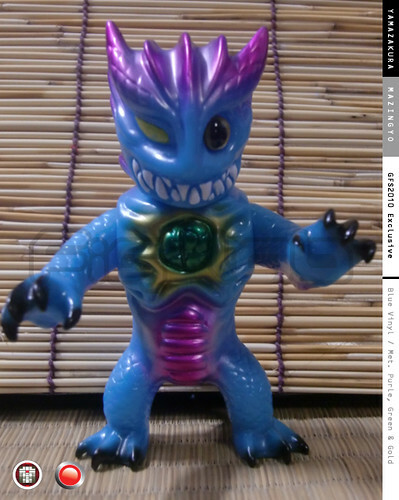 Behold MAZINGYO – the Demon Fish Man. GFS2010 exclusive color – Available from Thursday morning at the CROSSOVER EXCHANGE at Booth #4937. $50 reasonable! 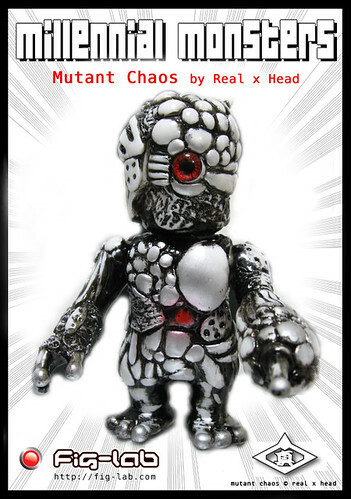 Mutant Chaos – Millennial Monster version, originally uploaded by datadub. 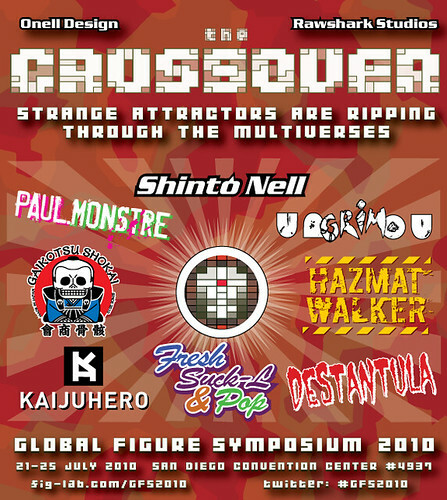 GFS 2010 – the CROSSOVER –, originally uploaded by datadub.